eye pads, triangular bandages, scalpel handle/blades, stethoscope and much more. 18" x 10" x 11" and weights 11 lbs. 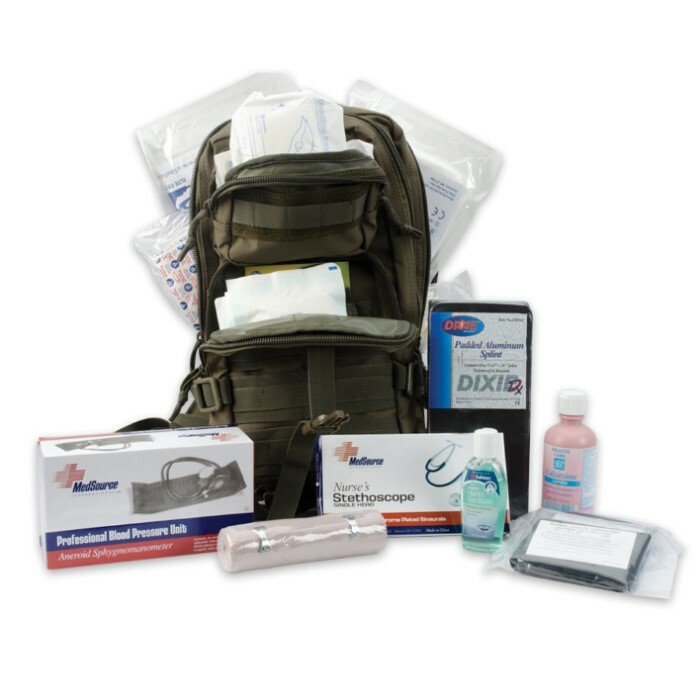 This Tactical Trauma Kit comes housed within a canvas backpack, offering many compartments and easy access to the contents. The gear inside this backpack is designed and used by professionals, and the pack is comfortable to wear while on the move. 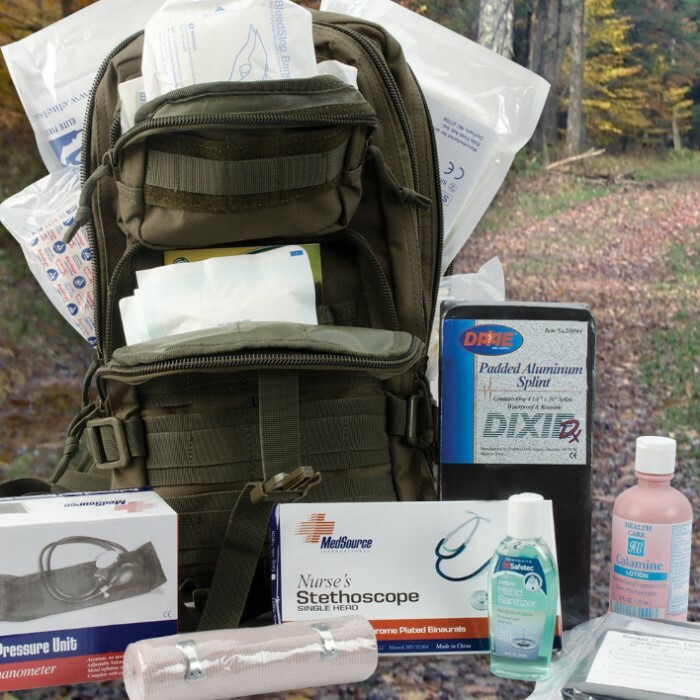 The Tactical Trauma Kit measures 18 x 10 x in., and weighs 11 lbs. 8 pairs of latex examination gloves.